US prodco Engel Entertainment has hired a former Discovery exec to run its unscripted programming and feature documentary slates as executive VP. 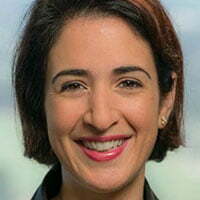 Stephanie Angelides was previously VP of development at Discovery Channel, a position she held for just under a year. Before Discovery, she headed Riot Creative, a subsidiary of ITV America-owned prodco Leftfield Productions, specialising in creating television content for OTT and digital services. Prior to joining Riot Creative, Angelides was senior VP of development for All3Media-ownded Optomen, overseeing all North American development in scripted and unscripted entertainment. The role also spanned the joint venture Optomen, shared with Gordon Ramsey’s One Potato Two Potato. “I believe this is a time of opportunity in this industry and to be a part of a shop that is nimble and produces content across multiple platforms is thrilling for a creative,” said Angelides. New York-based Engel Entertainment was created in 1996 focusing on documentary and unscripted programming, including nature-focused series North Woods Law and Lone Star Law for Discovery Communications’ Animal Planet.